This post was written yesterday by Ashley B, on her and Coleman’s second wedding anniversary. Most couples celebrate their wedding anniversaries, especially during the first few years, with a romantic dinner, a night out on the town, or even a weekend away in a romantic hotel or bed and breakfast. Just the two of them. 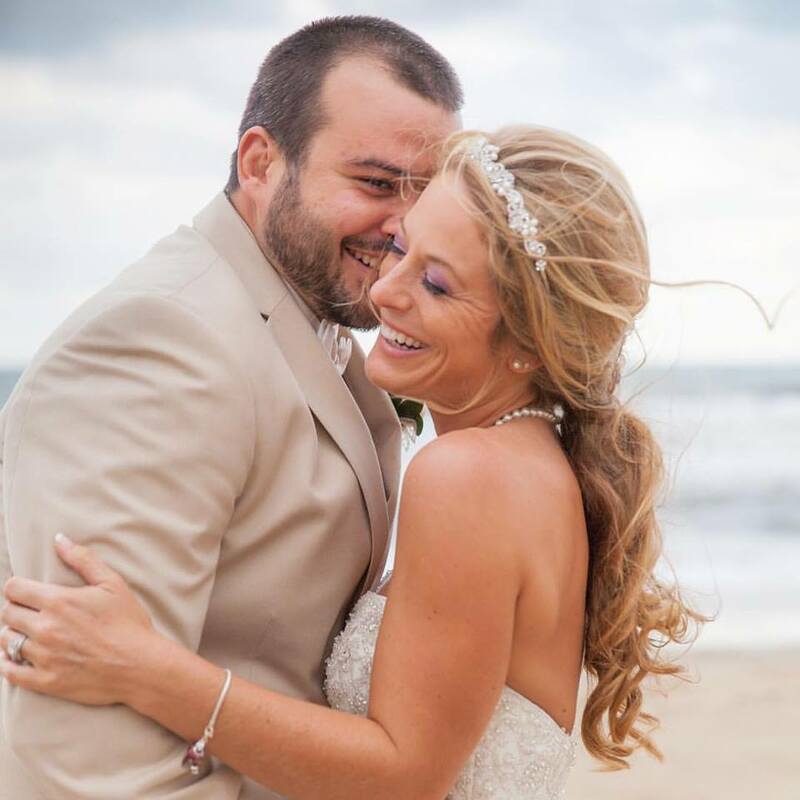 Ashley B and Coleman spent their second wedding anniversary having dinner at the CHKD cafeteria, while their two month old son lay in his crib in the PICU unit, recovering from open heart surgery the day before. Not exactly the romantic evening they’d planned for this event even a couple of weeks ago, but where else would they spend their evening? They certainly wouldn’t leave their son’s bedside for very long. He needed them, and they needed him. 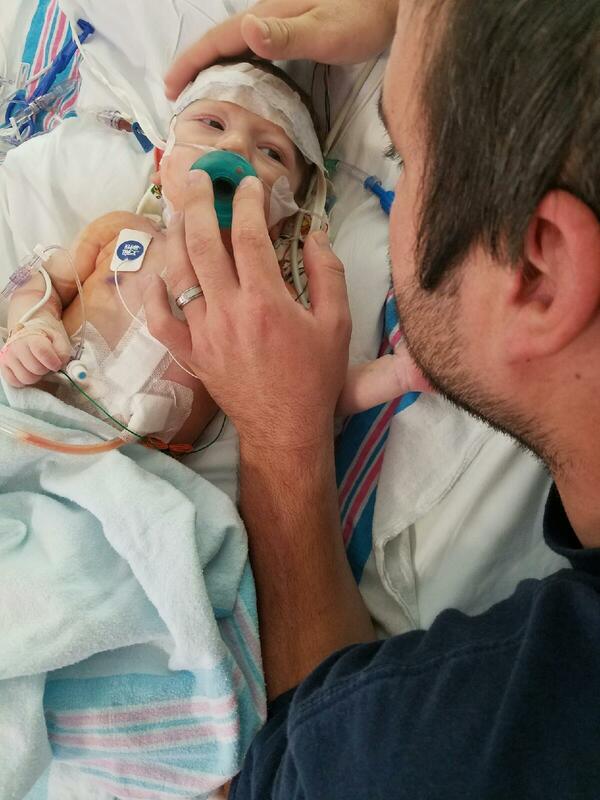 Yesterday they received one of the best anniversary gifts they could ever have…their infant son’s open heart surgery was successful. “While today we celebrate our two year wedding anniversary, we have a little warrior who has given us the greatest gift. A true miracle from God. He is a fighter. It’s still so hard seeing him like this and not being able to hold him. He hasn’t been able to eat since Monday night. He still has a catheter, drainage tubes, an arterial IV, as well as two other IV’s, and is on oxygen. But we have overcome another huge hurdle; the swelling is down and the breathing tube is out!! His blood pressure is still higher than the doctors would like to see, and they noticed his urine is cloudy, which could mean there is some infection starting. Which we certainly do not want. Today I’m really trying to reflect on everything my husband and I have gone through, not only in our two years as husband and wife, but in our ten years together. From boyfriend and girlfriend, to fiancé and fiancée, to husband and wife ,and now, the best part, to mommy and daddy. The day I married my husband was the best day of my life, until the day we had our son. Pretty close to the day I found out I was pregnant on December 4, 2015, I had prayed for Cash. I think the day we bring Cash home with a healthy heart will be just as comparable. These are the times when we realize how very lucky we are for such excellent doctors and nurses and hospitals to care for our children when they are so ill. These are the times when we truly realize what’s important in our lives. Most of us will thankfully never go through an ordeal like this. We will never know the worry, the stress, the anxiety, the fear, of wondering what each hour will bring. Parents, hold your children close. Hug them. Kiss them. And tell them how much you love them. Spend as much time with them as possible. They are a true gift from the Lord, and you as parents are entrusted with those children that were selected just for you. It is your responsibility to care for them, and raise them to be everything the Lord intended for them to be. Little Cash is a warrior. He will have an amazing story to tell one day. He has already begun his warrior journey, and is winning battles none of us would ever want our children to even have to fight. I look forward to seeing the adventures this little man will go on, and the proverbial dragons he will slay, as he grows from an infant to a child into an adult.